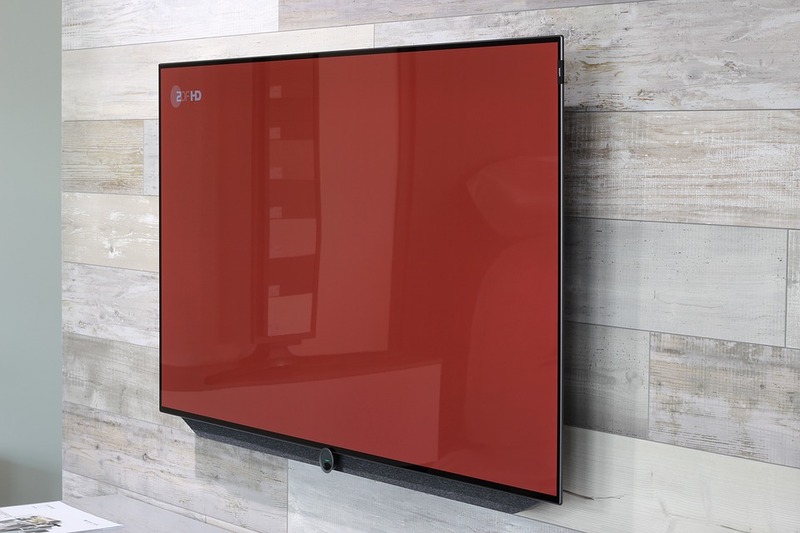 Whether you’ve just purchased a new flat screen TV or already have one, wall mounting the appliance is a great idea, freeing up floor space and keeping it safe from children, pets, and accidental tipping. Check to ensure that the TV is capable of wall mounting as not all flat screens have this option. Before beginning, consider room placement as this is important for optimal viewing. Keep in mind, flat screen televisions are typically frontal viewing only, like a computer screen so TV placement will require some discussion unless you live alone of course. Like any television, sun glare, room arrangement, and viewing angles all need to be considered. Optimal viewing equals happily watching your programs in a relaxed, comfortable seated or reclined position. Once the location is settled you can decide which type of tv wall mount works best for you. Standard/Flat: Keeps the TV in place with no movement and is best for full frontal viewing, great for a smaller room or bedroom. Tilt: Allows viewers to move the screen vertically (up or down) giving some angle to their monitor for viewing from the floor or the couch, and it is easily adapted to varying heights of viewers. Full-motion: My personal favorite, with the diversity in watching from any angle in the room and the added mobility of an extension arm allowing the TV to be drawn-out away from the wall. Now that you have decided on the specific mount type and area, you may want to set up a date and time with a couple of helpers to be there assisting in the wall installation. Mounting any flat-screen TV can be tricky but with these helpful hints, it’ll be done in no time. Step 1: Eye level-regardless of screen size, most experts agree that the eye level for maximum comfort is the middle of the screen. At this point, the helper comes in handy. Ideally, your screen will be mounted about 30 to 40 inches from the floor, the same as if it were resting on a TV stand. Too high on the wall means your neck will get a workout and then you’ll probably want to remount it all over again! But as always, it’s the size of the TV and your own viewing desire that make the final decision paramount to you. When you’ve decided the height is right, your helpers can hold the TV while you mark the wall with a pencil on the left, right and bottom center of the TV then place tape there creating a basic outline of your TV. Step 2: Find your wall studs between the tape by running the stud finder along the wall and mark studs with a pencil. Step 3: Attach the mounting brackets to the TV, following the instructions provided in the kit. Use a flathead screwdriver to pry off the screw plates on the back of your TV if necessary. Step 4: Measure the difference between the top and bottom holes of your TV mounting arms and mark this distance onto the wall so you know where to drill the holes. Wall bracket should be centered above the bottom center mark. Step 5: Place the wall bracket against the wall, checking that it’s level; using the power drill, drill the holes for the wall bracket and secure. Note: Mounting into drywall alone isn’t recommended unless you are using strap toggle bolts or lag screws. Strap toggle bolts can also be used in concrete blocks and wood studs. Step 6: Lock the TV mounting brackets onto the wall bracket plate and secure as per manufacturer directions. Congratulations, you did it, now plug in your TV!